A range of Key Cabinets from Securikey that are ideal for domestic and commercial use for key control and tracking. 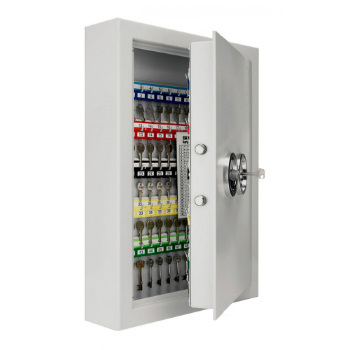 Available in a wide range of sizes these key cabinets can store and track up to 600 keys. Alternatively, Securikey build and design deep key boxes which provide extra space required to accommodate both individual and bunches of keys. You can choose from 35, 48, 100, 150, or 200 hanging hooks.